WH Kingsmill Ltd - Taking care of the details, at no additional cost. Taking care of the details, at no additional cost. W.H Kingsmill Ltd offers a wide variety of packing options in both metric and imperial measurements to suit your needs. Our Dust Chaser Leak Detection Powder can also be packaged in clear plastic bags, to reduce waste and decrease your carbon foot print. 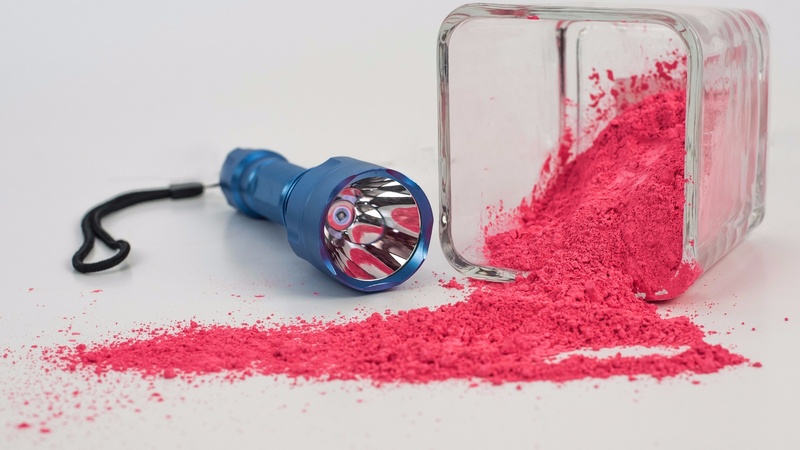 Looking for custom colours and particle sizes? We can provide both upon request. Free samples of our products are available. At W.H Kingsmill, we understand the importance of making a great first impression, which is why we will create custom labels for your company - complete with company name, logo and any other relevant information you request. Once you have approved the final product, we take care of printing and applying the labels to your order at no additional cost. In addition, we automatically colour-code every pail and box for quick and easy identification. We also automatically apply all required warning and safety labels based on your location or the destination of your order, with no additional cost. Simply place your order and we will handle the rest, including blind drop-shipping services to anywhere in the world, all at no extra cost.